Take your classic up a level with our 90's Curve Crop Top with fitted seams for a streamlined silhouette. Team with denim for an everyday look. 64% Polyester,32% Cotton,4% Elastane. Machine washable. Rpt 90S Lace Black DressThis black bodycon 90s dress, is perfect for an evening out as its lace back gives it a classy edge.Bodycon FitMini DressJersey, Lace70% Viscose,24% Nylon,6% Elastane.Machine washable. Alanis Velvet BootStep into the season with this gorgeous burgundy sock heel boot.100% Polyester.Wipe clean. Alanis Velvet Sock BootThis velvet navy sock boot will be the ideal heel boot to take you from day to night.100% Polyester.Wipe clean. Alba Heeled Ankle BootComplete your outfit with this chic black ankle boot.100% Synthetic.Wipe clean. Alberta Contrast Boot Make a statement with this seasons perfect low block contrast black heel boot.100% Synthetic.Wipe clean. Alessia Twist Lock BootThe perfect partner to skinny jeans. These mid-heel ankle boots will update your look!Heel height is 2"80% Polyurethane,20% Polyester.Wipe clean. Alessia Twist Lock BootThis season's sock boot makes the perfect day to night addition to your wardrobe.Heel height is 2"100% Polyurethane.Wipe clean. Alexa Suede Ankle BootReal suede leather ankle boots with this season's flared chunky heel. 90's styling reborn.Ankle bootReal SuedeChunky HeelSuede.Specialist clean only. Let our cute stripe pleat detail dress be your wardrobe must have this season. 93% Cotton,7% Polyamide. Machine washable. Wearing Length: 86cm. Allegra Crop BlouseThis glamourous Allegra crop blouse is a must have for your wardrobe this season! Team this up with a pair of jeans and heels for the perfect look.100% Polyester.Machine washable. 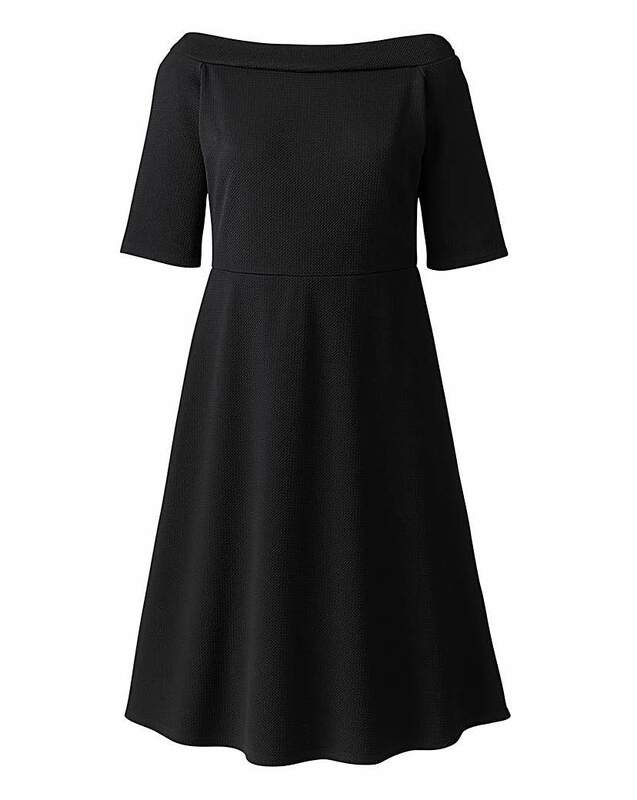 Black extreme angel sleeve dress, with flattering V neck. Wearing length 90cm 98% Polyester,2% Elastane. Machine washable. Animal Print Bomber This lightweight animal print bomber is the perfect throwover for the warmer weather.Animal print bomberLeopard printLightweight fabric93% Polyester,7% Elastane.Machine washable. Animal Printed Cami Dress Animal Printed Cami dress with black contrast strap detail.Cami DressAnimal PrintLeopard printContrast Straps100% Viscose.Machine washable. Aphrodite Brocade BootMake a statement in this gorgeous metallic boots. Perfect for parties and adding a touch of glamour.100% TEXTILE.Wipe clean.